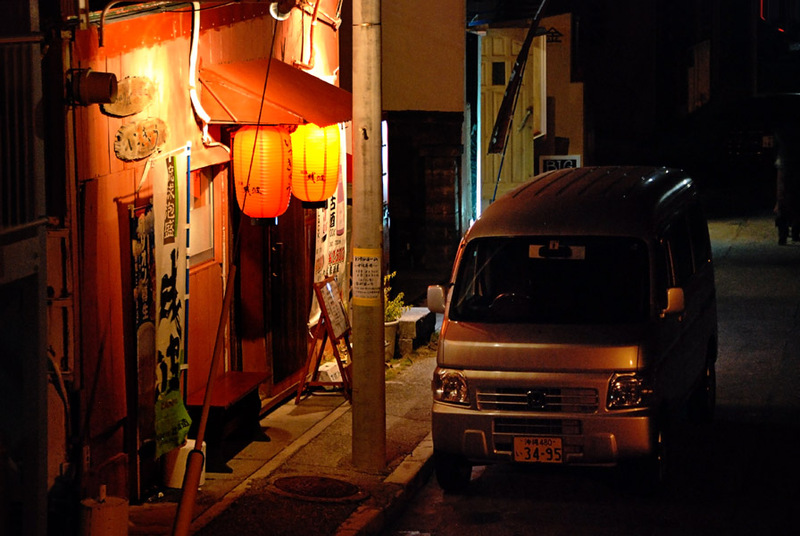 I spied this side street scene one evening from the sidewalk atop the Sunabe seawall on Okinawa. The bright color standing out against the darkened street was warm and inviting even though I do not know what type of restaurant it was. I try to not shoot at 1600 ISO or higher because my Nikon D80 produces such noisy images but occasionally images like this one beckon to you. I am looking forward to upgrading in the not too distant future to one of the newer Nikons that reportedly handle high ISOs so much better—that will open up the opportunity to really make the most of scenes like this!